Sonders and Beach Italy Srl Group, the parent company of QMagazine and Quiiky tour operator, will participate this year in the New York Times Travel Show as promoter and spokesperson for an innovative project adopted by the City of Milan, with the aim to spread the news regarding the next IGLTA 2020 Convention, to be held in the metropolis in Italy’s northern Lombardy region. “Milan Loves You” sees Sonders and Beach at the forefront of the synergistic design of the interventions and initiatives that will be planned, and implemented, from now until 2020, in preparation for the future IGLTA Convention that will bring about 500 tour operators, journalists, LGBTQ influencers from all over the world to attend the Milan event on May 2020. “The City of Milan, with whom we are collaborating for the Leonardo Da Vinci 500th Anniversary celebration, has proven to be highly collaborative and a very motivated City in pursuing a strong goal to demonstrate that Milan is proud to be the city of all, with particular attention to the LGBTQ World community,” commented Alessio Virgili, CEO of the Group. “We work so that Milan’s welcoming attitude is made known to the world, and its authorities know how to respond to the different category of travelers”, added Roberta Guaineri, Councilor for Tourism of the City of Milan. On this occasion, the tour operator Quiiky included in the “Milan Loves You” project two experiential tours, called “Untold History Tours” for the LGBTQ community, during which space will be dedicated to the works of Leonardo’s genius, with a visit to the Milan Castello Sforzesco, to the Vigna di Leonardo, the Pinacoteca Ambrosiana, narrating the troubled Leonardo’s private life, of his tormented relationship with Salai, his student, through the studies conducted on the subject by Sigmund Freud and the most recent narrations by Pietro Marani. The tours will be accompanied by professional multilingual LGBTQ guides that will narrate to the guests an authentic dedicated experience, allowing them to enter the genius of Leonardo and perceive and confirm of the city’s welcome. 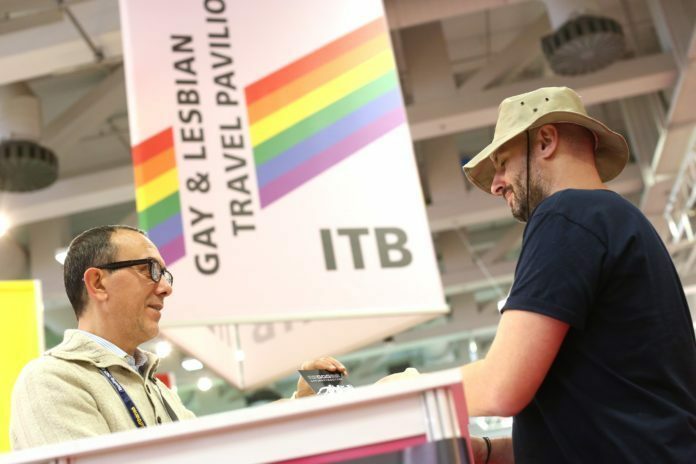 The New York Times Travel Show will see the Quiiky operating on several fronts: the promotion of Leonardo’s initiatives; the enhancement of the incoming LGBTQ through the organization of the group tour “Call Me By Your Name”, inspired by the homonymous film, moving on the setting of a minor Italy, between Emilia, Lombardy, and Veneto regions. An itinerary that will see the organization of a fam trip from 14 to 22 June for USA operators and journalists; without forgetting, of course, the incoming link to the wedding and honeymoons for civil unions.